Recommended book of the week! 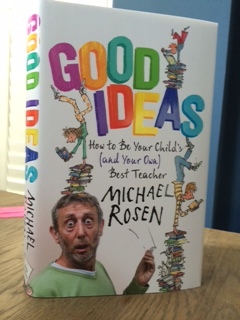 This book has been written by the former Children’s laureate, Michael Rosen who also wrote a book we all know and love, “We’re going on a bear hunt”! “Be curious, endlessly curious. Go on asking questions. Never stop wondering why. Or how. Or when. OR where. Never stop wondering why or how one things links to another. How something changed. How one thing turned into another. How something died out. How something else started up”. He has five children of his own and says he was prompted to write the book to remind us that learning should take place alongside our children. Learning is not something we do TO our children!